The English television host, media personality, television talent competition judge, author, music manager, modern impresario, businesswoman, and promoter is Sharon Rachel Osbourne. She is professionally known as Sharon Osbourne. She is an honorary board member of the ‘Multiple Myeloma Research Foundation’. On the ‘Sunday Times Rich List 2006’, she was listed as the 44th richest woman in Britain and the 60th richest woman on the 2007 list. Osbourne accused Simon Cowell of underplaying her for ‘X Factor’. Osbourne is very upset about her son Jack’s divorce from Lisa who got married in 2012. 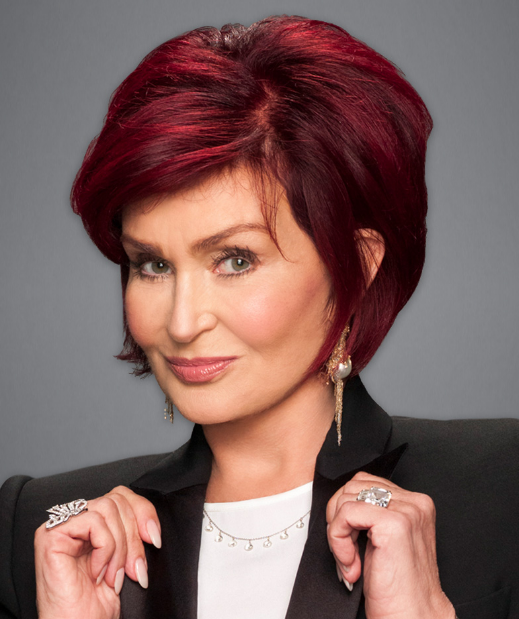 Sharon Osbourne’s birth name is Sharon Rachel Levy. She is born on 9 October 1952 at Brixton, London, England, United Kingdom. She was born to Don Arden who was a music promoter and rock and roll entrepreneur and Hope. She has a brother named David. She attended Italia Conti Academy of Theatre Arts. Osbourne’s height is 1.58 m and weight is 55 kg. Her hair color is dark brown and the eye color is green. She has dyed her hair to red. She has a balanced and healthy body. She co-managed a band called ‘Cube’. In 1998, she made her first TV show appearance in the biographical music TV series named ‘Behind the Music’. In the third series of The X Factor in 2006, she was a mentor. She joined the judging panel on the second season of ‘America's Got Talent’. She hosted the second season of ‘Rock of Love: Charm School’. In 2002, she made her theatrical film debut in the action comedy movie named ‘Austin Powers in Goldmember’. In 2005, she released her first autobiography named ‘Extreme’. In 2007, she released her second biography named ‘Survivor’. In 2009, she co-hosted ‘WWE Raw’ with her husband Ozzy. In 2010, she appeared on NBC's ‘The Celebrity Apprentice’. In 2012, she has a voice role in the animated television series named ‘Jake and the Never Land Pirates’. In 2016, she appeared in two videos for 'PETA'. Osbourne is a cancer patient. In 2002, she had the surgery for cancer. Osbourne is married. She is married to Ozzy Osbourne who is songwriter and singer. They dated in 1979 and got married in July 1982. The couple has three children named Aimee Osbourne, Kelly Osbourne and Jack Osbourne. In 2016, she thought to separate from him but they worked with their differences and got back together. Osbourne’s net worth is estimated to be $220 million. In January 2003, Osbourne and the rest of her family hosted the 30th Annual American Music Awards. In August 2004, she founded the 'Sharon Osbourne Colon Cancer Program' at Cedars Sinai Hospital.